On Friday, March 8, 2013, Rakim performed at The Coliseum Music Lounge in St. Louis, Missouri. To say that Rakim was well-received would be an understatement. St. Louis showed up for The God Emcee. It was packed wall to wall and the crowd was ecstatic. Honestly I don’t know who enjoyed the night more, Rakim or those of us in the audience. There were several points where Rakim stopped rhyming and let the crowd finish word by word, line by line. 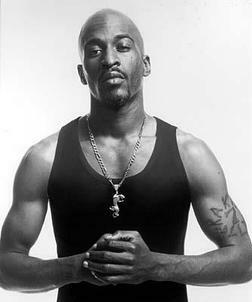 One notable moment was when Rakim stated, “I feel like I’m at home.” Of course, that’s something he could say at any given show, but I doubt that the feeling of home occurs on every stage or during every performance for any artist. That’s a major compliment for St. Louis given that we have a bit of a reputation for not supporting local and sometimes major artists – and within that comes the belief that St. Louis is not a viable market. At another point, Ra went on to say “Imma take it deep into the catalog. I ain’t been in St. Louis in a long time…I ain’t gon leave nothing undone.” Accompanied by DJ 33 1/3, Rakim did several classics spanning his solo projects and those as part of the hip hop duo Eric B. and Rakim including, “I Ain’t No Joke,” “I Know You Got Soul” and “My Melody,” to name a few. To witness a hip hop legend of that magnitude, I mostly watched in awe and listened. Mostly, I was thinking about what it means to experience legends from the golden age of hip hop in the 21st century. Certainly, there’s an essence of nostalgia, but as Hip Hop turns 40 there’s something to be said of the staying power of rappers like Rakim or Nas who haven’t given up the mic and have throughout their careers remained true to the art, true to their fans, and still able to move a crowd. In 2013, Rakim is still a microphone fiend. At the end of the show Rakim remained on stage and shook everybody’s hand that wanted to shake his and even took pictures if you wanted one. I was really touched how connected and accessible he was to the people. There are no words to describe that moment except priceless - I’ll always remember it as the night I shook hands with The God Emcee.